I have been playing with colour a lot in recent months. It was all sparked off by Bohemian Rhapsody, that design just made me want to explore colour more. And I have been studiously sticking to my plan of making one block of Bohemian Rhapsody every 2 weeks. I have now completed 11 – only another 7 to go. And I am now working on something with the remaining 6 colours which may take a while, so I won’t share that with you yet. You can’t tell from the photo just how soft this yarn is. But you can tell it gives good stitch definition and it blocks well; my uneven knitting now looks quite passable! 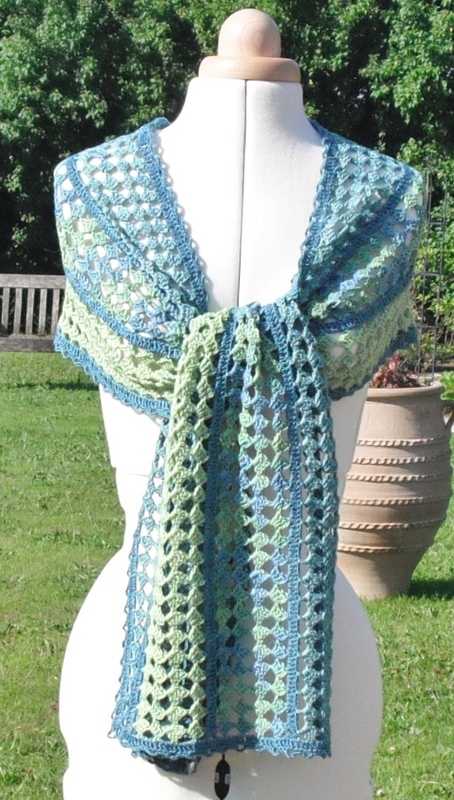 It is now written as a pattern and can be found in my Ravelry, Craftsy and Etsy web stores. All this colour work has really boosted my creativity, and yet another colour project is on my hook right now! So there will be a few more colourful reveals in the not too distant future. Love, love, love this! Not only does it lift the spirit to make it, it must lift the spirit every time you wear it. Revealed just in time for Yarndale too, thanks! It’s beautiful! I’m going to add this to my list! I just finished the Anniversary Sharf and by the way I wanted to say thank you for such a great pattern! I loved knitting it! Thank you for all these lovely comments! 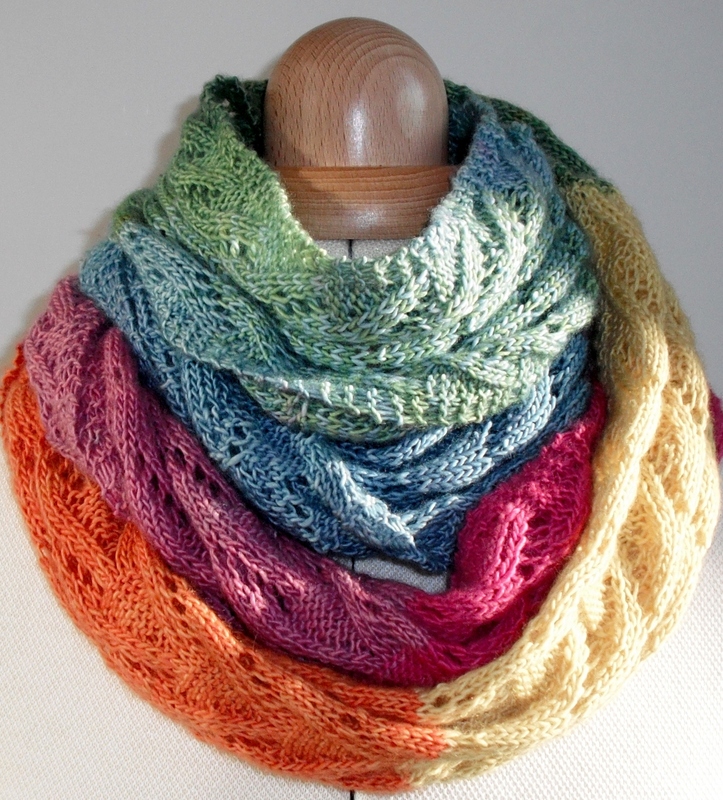 The pattern is quite straightforward, it is the yarn that makes it so beautiful.